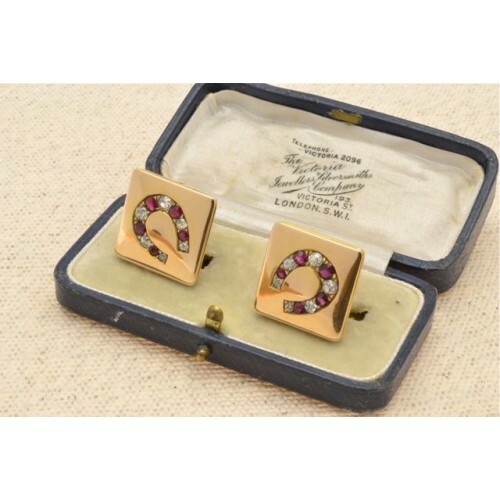 Antique 15ct gold diamond and ruby set cufflinks. 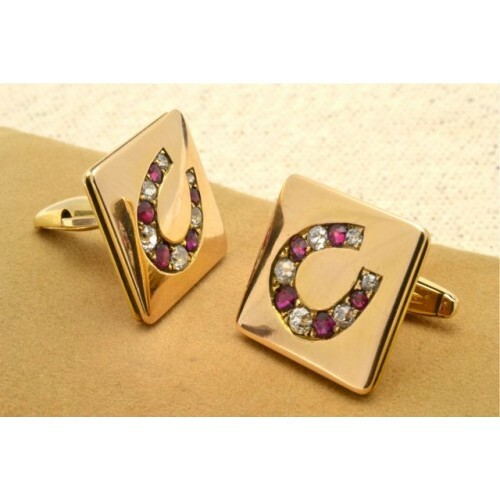 A fine pair of 15ct gold cufflinks, set with six old cut diamonds and five old cut rubies in a horse shoe form. 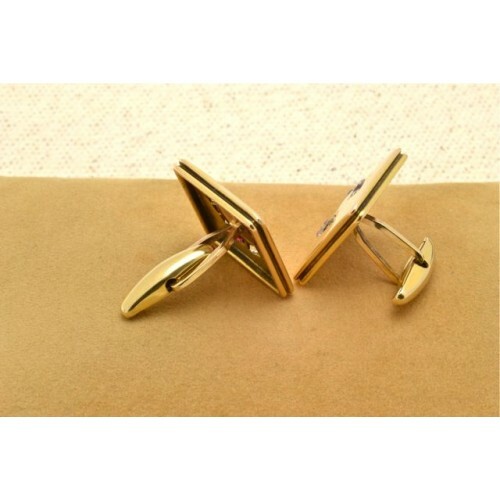 Swivel backs. Overall weight 17.3 grams.